PROOF Old Fashioned Cocktail Syrup was created by renowned Atlanta bartenders who wanted their guests to enjoy a high quality cocktail experience at home. These small batch cocktail syrups are an “everything but the bourbon” approach to craft cocktails and feature our oleo-saccharum made the traditional way from organic cane sugar, with our added bitters. Simply mix .5oz of any PROOF Syrup with 2oz of your favorite bourbon or rye whiskey, to easily create the perfect textbook Old Fashioned Cocktail. 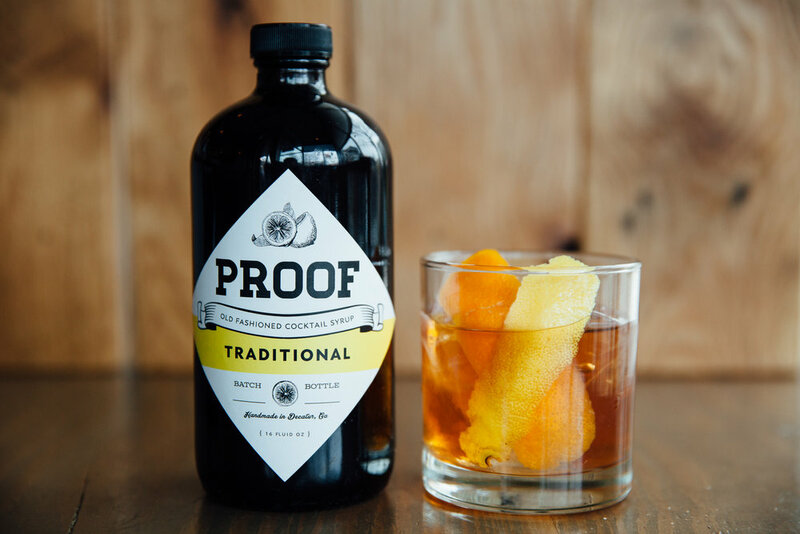 Each bottle of our PROOF Old Fashioned Cocktail Syrup makes 32 cocktails. Or, along with a handle of good Bourbon or Rye, makes a pitcher of tasty Old Fashioned Cocktails for your guests. PROOF TRADITIONAL Old Fashioned Cocktail Syrup uses our own aromatic bitters & oleo saccharum to easily create the perfect textbook old fashioned. Simply mix .5oz of PROOF Syrup with 2oz of your favorite bourbon or rye whiskey, pour over ice, and enjoy.